Christie’s Dubai kicked off the auction season with their March 2017 Modern and Contemporary Art sale, resulting in a total of $6,410,500 (excluding buyer’s premium) against the pre-sale estimate of $4,714,00 to $6,482,000. This was 26.4% higher than Christie’s Dubai sale in October 2016, and 3.7% lower than in March 2016. Tehran Auction’s 7th sale in Tehran of Classical and Modern Iranian Art took place in July 2017, achieving a total of $8,020,070, within the pre-sale estimate of $6,351,386 to $9,044,890. The result was 4.3% lower than their previous sale in May 2016. Sotheby’s 20th Century Middle Eastern Art sale took place in London on April 25th and totalled $3,644,692, above its pre-sale estimates of $2,605,093 to $3,483,727. 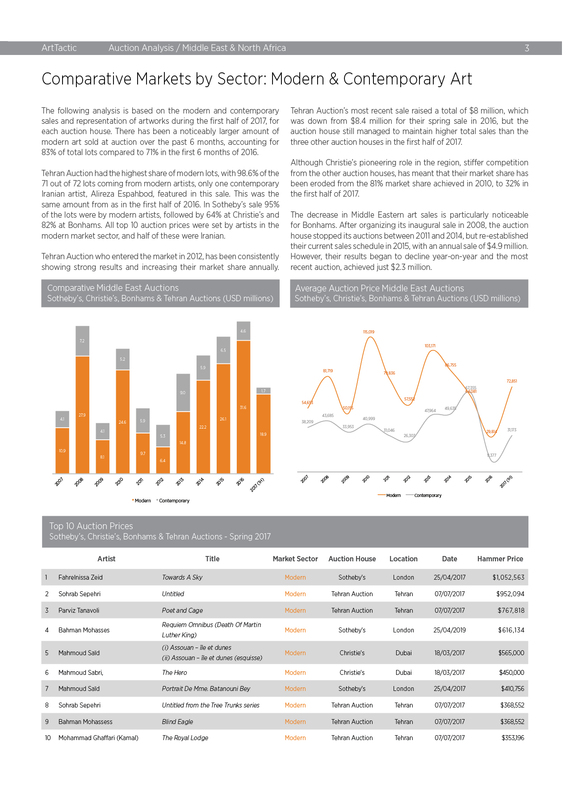 The auction total was 20% higher than the previous sale in October 2016. The majority, 95%, of the sale was focused on modern Arab masters, with only few contemporary lots. Bonhams raised $2,342,069 in London on April 26th, 19.5% higher than their 2016 spring sale. Following the trend of the other auction houses, Bonhams also had a larger representation of modern artists, accounting for 83% of the lots. 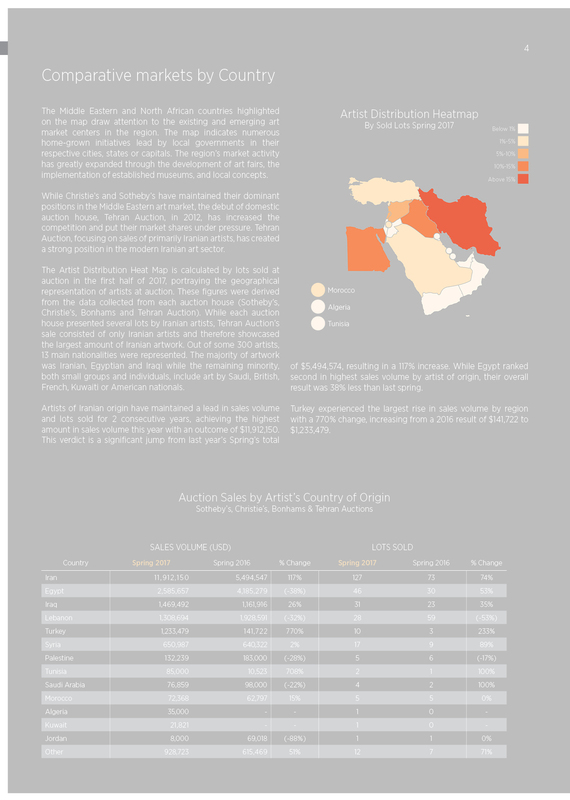 COMPARATIVE PERFORMANCE (SOTHEBY’S, CHRISTIE’S, BONHAMS AND TEHRAN AUCTION). TOTAL SALES VS ESTIMATE (2007 – 2017). AVERAGE PRICES 2007 – 2017. HAMMER VS ESTIMATE RATIOS 2007 – 2017. 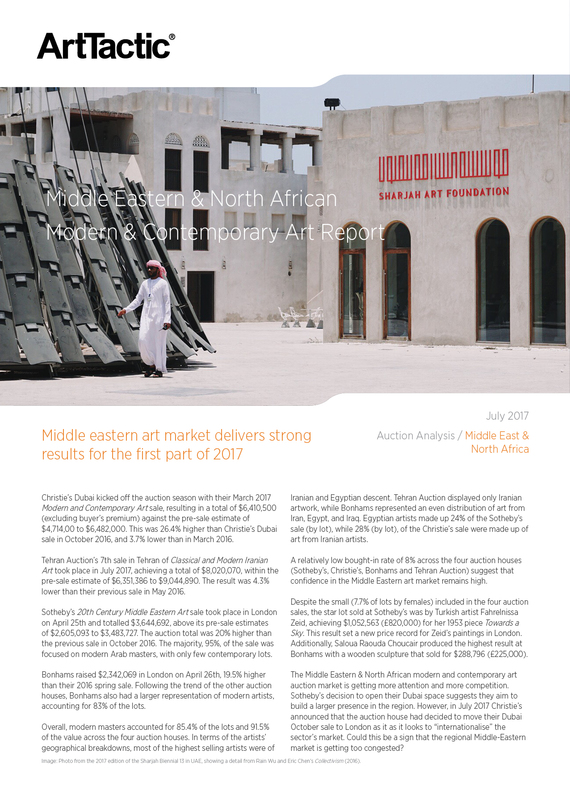 SECTOR ANALYSIS – BY MODERN & CONTEMPORARY ART 2007-2017. 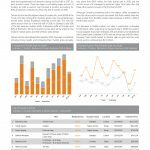 SECTOR ANALYSIS – BY COUNTRY OF ORIGIN 2016 & 2017.